I cobbled together a kit (potato scrubbing gloves, ricer and bottle of Madeira) under the influence of Roger of Food, Photography & France in my quest for the ultimate version of one of the G.O.’s favourites – Sausages & Onion Gravy with Mash. I did taste the Madeira and found it most appealing. It’s almost due to be replenished as it has become a go-to ingredient in early Autumn meals slow cooked in the big Chasseur pot, and the tagine used for the first time ever influenced by Glenda of The Passion Fruit Garden. When the weather cools right off I have plans to make ChgoJohn from the Bartolini Kitchens’ Beef Cheeks. Under the influence of Celia of Fig Jam and Lime Cordial and Celi of TheKitchensGarden I made bread. A while ago Celia offered me an offspring of her Priscilla but I was too chicken to accept. However the sourdough idea at least has been bubbling along in the back of my mind. It got an incremental push when I made an unusual find in our apartment complex communal recycling area of a bread maker with an attached note indicating it was working. That was the beginning. I successfully & gleefully made a small (750 gram) spelt loaf. The G.O. adores white bread and is so-so about any other kind. Both of us do better eating less rather than more bread of any type. He however pronounced my spelt loaf not only edible but good, with only a tinge of surprise in his voice. A couple of weeks later I attempted to make a larger (1200 gram) loaf but the bread maker responded with an E01 message (apparently indicating the unit was to hot) and couldn’t be persuaded otherwise. So I extracted the contents, gave it a quick knead, waited, it rose, kneaded, waited and put it in the oven with fingers crossed. It rose, browned and filled our apartment with the aroma of baking spelt loaf. Oh my God. It worked. Rest until doubled in a warm place covered with tea towel – about an hour. Knead briefly on floured bench – about a minute. Place in large oiled and/or non stick loaf tin. Rest for further 20 – 25 minutes – optional*. Bake for 30 minutes on lower shelf of oven that has been preheating for about 5 minutes (set to 220°C/Fan 200°C/425°F). Once the Spelt loaf has cooled I find it slices better having been stored in a plastic container in the fridge, and is better toasted. Under the influence of Glenda of the Passion Fruit Garden I consolidated my cookbooks on a shelf of their own, adding a pre-loved Elizabeth David Italian Food, and a gorgeous pack of Kitchen Tarot cards influenced by a tea tarot image from an unrelated Kourtney Heintz post. I doubt I’ll ever be organised enough to do In My Kitchen posts, and although I never say never it’s unlikely I’ll ever be in the league of Celi’s pig in the kitchen but when I’m in the kitchen I’m in good company. Postscript: The lovely Celia has added me to her IMK list 😊 If you want to join in go to In My Kitchen. My salt journey started with Maldon then Murray River, volcanic, Himalayan… a myriad from our local Salts Meats Cheese. They have an online shop http://www.saltmeatscheese.com.au/. I love the tastes of each season anew. How dare you, how very dare you? Tantalise my taste buds with a mention of what is also my favourite meal Bangers and Mash( esp sweet potato) with onion gravy , and then you drift off the subject to talk about something else. You can’t do that, you have to talk about it for at least as long as the meal would last, even if you’re not talking gravy recipe, so I can savour every mouthful. The time for bread is at the end if there’s any gravy left. I’m starvin’ now and not a sausage, a potato or an onion in the house. You’re a very cruel woman even if I do adore you.Seems the G.O.has good taste in everything. I would send you some if I could 🙂 Beyond that, pop over the Roger’s blog, be further tantalized, and when it’s time for lunch I’m sure one of your wonderful local establishments will cater admirably 🙂 Being starvin’ will heighten the experience. Then call into the shops on the way home. 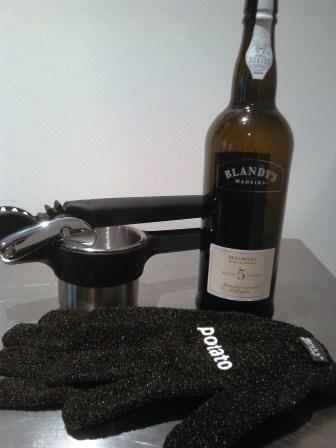 Don’t forget the Madeira. Thank you 🙂 Celia emailed and offered me a Priscilla, so I will accept but I think your Kefir bread is the next in my baby steps. I’ll put a Kune Kune on my long list… I wonder if they’re allowed/available in Australia. Thank you 🙂 The G.O. is the king of [traditional] mash but we both love the ricer mash. Mind you, because there’s a gadget involved he happily makes it too. We never had one when I was a kid, I think it’s the influence of TV cooking shows that have made them popular. I looked for a while but could never find the right one until browsing Peters of Kensington online (as I do) I found a Chef’N – FreshForce Potato Ricer which “has a unique cog design in the handle that makes it 65% more efficient than regular potato ricers, and it’s really easy to use.” Best of all, you rinse it and throw it in the dishwasher. As an indicator I paid $41 from PoK – but they are currently out of stock as is Victoria’s Basement @ $59.95! Good luck. Yes, I saw that. I registered on PoK and added the ricer to my wish list. Hopefully they take note of things like that and order in more stock. I’ve had out of stock things on my wish list come back into stock, so you should be fine. I never visit the actual store, that would be too dangerous, but amass wish list items then do an order a couple of times a year to mitigate [the very reasonable] postage. Over the years I’ve saved a significant amount of cash. what an excellent post EllaDee, now I must find time to check out all these wonderful influences! Thank you 🙂 I am determined, other than the sliced white bread the G.O. cannot be dissuaded from on occasion, not to buy bread again. I checked out the mini-pig situation in Australia and imported pigs are not allowed, plus other than having a kitchen I don’t have suitable housing – http://www.jareboofarm.com/AustralianMiniaturePigs/MiniaturePigs.html – ah well. OOHHH what a find …a working bread-maker! What a shame it didn’t last long. Will you buy/find another? 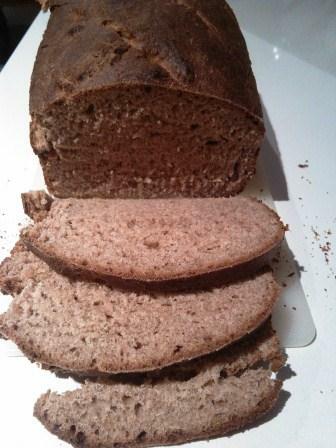 I use a bread- maker a couple of times a week to make sunflower bread, but alas, it IS from a packet. Good though! I would love to try your recipe, but I would find difficulty getting some of the ingredients. I’m pretty sure that Andalucia hasn’t embraced pink Himalayan rock salt yet! I’m giving the bread maker one more chance, if only in the hope of trying the jam and pizza dough settings, and although I slightly prefer the oven baked bread I like the set and forget aspect of the bread maker. Oh yes, the first warm slices slathered in butter are divine. We eat less meat than ever. Thank you – the bread is another achievement in making our own choices about food rather than corporatized food. I’m under the influence too, in that I can’t break away from visiting my blogger friends. I just took a break from writing and read this post. I must be out of the loop. I’ve never heard of spelt. Lovely post. Thank you. Isn’t it nice our blogger friends are always around when we need a break. Spelt is an old grain, and it’s become popular again as an alternative to white flour. I just like its taste and texture. Welcome EllaDee – I liked the idea that your units have a communal recycling area where people can put other unwanted things for a 2nd life. Bit like a grassroots version of Gumtree! I too have been inspired by many of the participants on IMK including Glenda from Passion Garden and also Anne from Mud Splattered Boots. And then there’s Celia…she’s in a different category all together. Thanks for joining in. Hope to see you back again some time soon. Thank you. I’m not sure the recycling is intentional – it’s a designated large item disposal area but not much makes it into the rubbish. Most of the Inner West is footpath recycling friendly. Hi Ella. I love your post. It is a good idea for a series. We are in Katoomba at the moment and it is a bit chilly. I love the little pig. I hope he is not destined for someone’s dinner. It looks pretty wonderful – baking your own loaf, having kneaded etc is like magic, isn’t it? I’ve only ever done it once years ago – it rose so high it hit the oven shelf above, which burnt some distinctive stripes into its crust. There seems to be a mystique around baking bread so having it work did indeed seem like magic. I was wary of how far the loaf would rise so moved the oven shelves, although I think the stripes would have looked impressive. What a lovely post, EllaDee! I’ve never baked with spelt but that loaf of yours makes me feel that I’ve really been missing out on something good. I have to give it a try. Do accept a bit of Priscilla from Celia. It makes the best bread! I follow her rosemary bread recipe and love it. In fact, I just baked some today for this evening’s supper. Thank you for kindly mentioning my recipe in your post. I hope you enjoy the beef cheeks as much as we do. G’day! 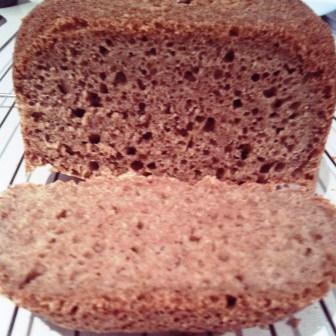 Your spelt loaf looks terrific and can almost smell it from here! oooh I love spelt bread but have never tried to make it. I know what I’ll be doing over the weekend! 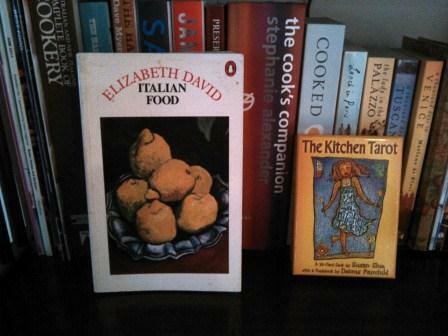 I have a few Elizabeth David books including her biography – Writing at the Kitchen Table, which was pre-loved. I haunt second hand book stores looking mainly for old cookbooks…kudos for carrying on manually with the bread – it looks fabulous! I’ll keep an eye out for the Elizabeth David biography. I gave the bread maker a last chance yesterday, it didn’t perform so went back to the recycling and I baked another perfectly good loaf in the oven. The benefit of the bread maker is it gave me the confidence to start. Maybe it will work its magic for someone else. Wow that spelt loaf looks awesome. Yum! I think the baking muses are indulging me. I baked another last night to take away with us for our Easter break, and it worked! I doubt I will ever ceased to be amazed. The G.O. also loves spag – anything made with mince. To get that kind of response your spag must be very good. I love anything that’s easy to cook and we can eat for days… I’m sure I’ll acquire another breadmaker as the set and go aspect works for me. It was good to have a try before I buy opportunity. Thanks for the new blogs to explore!